Paris (AFP) - Astronomers said Thursday they had accurately calculated the mass of the Milky Way for the first time, using new data sets that include the weight of dark matter. 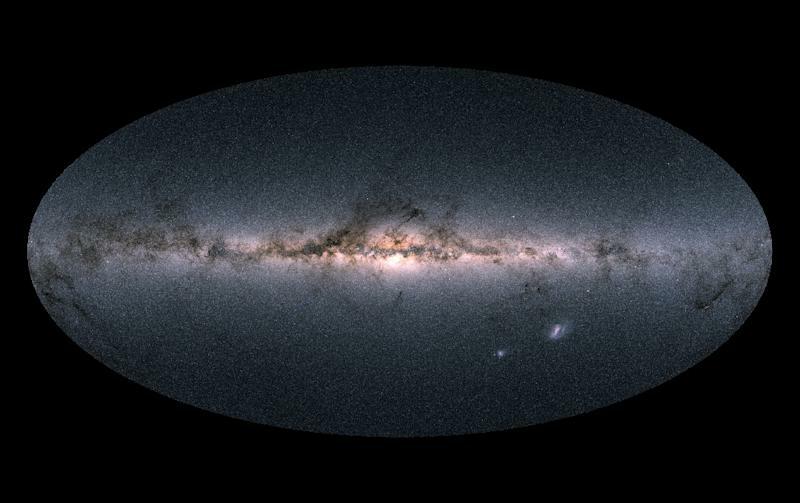 In a collaboration between NASA and the European Space Agency's Gaia observation craft, a team of experts calculated our galaxy to be around 1.5 trillion solar masses. Pervious estimates put the mass of the Milky Way ranging between 500 billion and 3 trillion times the mass of the Sun. The uncertainty stemmed mainly from differing methods used to measure dark matter -- which doesn't absorb or reflect any light and is thought to make up nearly 90 percent of matter in the Universe. "We just can't detect dark matter directly," said Laura Watkins, from the Germany-based European Southern Observatory. "That's what leads to the present uncertainty in the Milky Way's mass -- you can't measure accurately what you can't see." To get around this, the team measured the velocity of globular clusters -- dense groupings of stars that orbit the galaxy at enormous distances. "The more massive a galaxy, the faster its clusters move under the pull of its gravity," said N. Wyn Evans, from the University of Cambridge's Institute of Astronomy. "Most previous measurements have found the speed at which a cluster is approaching or receding from Earth, that is the velocity along our line of sight." Instead, the researchers were able to use data collected by the Gaia probe and NASA's Hubble telescope to measure the sideways motion of clusters. From this they could calculate their total velocity and from that their mass.